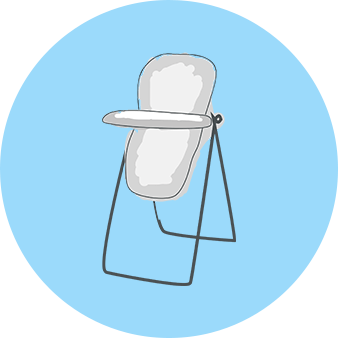 Perfect for travelling, the Change Me travel mat makes nappy changes safe and hygienic wherever you are. With its simple wipe clean and tear proof technology whilst also being soft and padded for your baby's comfort. It also features 2 side pockets and 1 zipped pocket for storing wipes, spare nappies or other essentials. Once you’ve finished, the mat folds back up and secures into a highly portable shape with Velcro. For added convenience, it has a handle for carrying. It is perfect either for travel or for keeping in your changing bag for those emergency changes!